Customer service that really cares about you. 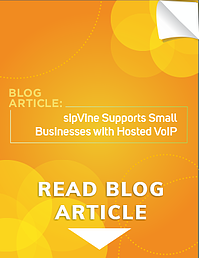 sipVine was founded in 2005 on the principle of delivering a best-in-class VoIP service with a focus on call quality. 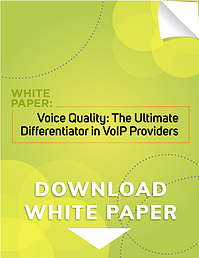 Through the process of delivering upon that promise, we found that there's even a bigger void in the telecom and VoIP industries surrounding customer service. Each and every associate was hired based upon their dedication to deliver awesome service, and we began filling that void! Granted, there's much more to it. It is a way of doing business that moves throughout sipVine's standards and processes. It starts right up front with your dedicated Solution Specialist. We do not deploy call center sales people, but a dedicated resource who will be responsible for your business during and after the sale. By getting to know your business, you will receive a proposal that matches your needs and meets your goals. The Solution Specialist consults with you on the ultimate design of the system, customizing the delivery to your business with goal of improving communication practices both internally and externally. The sipVine technical team is introduced to your business through the building of your custom solution. They handle the programming, set up, and on-going service. sipVine handles all of your phone service administration. This is where you really experience a difference! We do not hand over a web portal for self servicing. You simply dial 7HELP from your phone, and your connected immediately with a sipVine support associate who already knows you and your business and is prepared to handle any administrative requirement for you! How awesome is that? Not only are you getting a state-of-the-art phone system and service, but you're receiving administrative support from your own personal phone department! If you need to discuss non-service items on your account, you have a dedicated Solution Specialist to call direct. Compare that with the phone company!